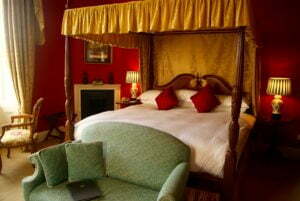 If you’ve stayed with us before, you’ll know that each bedroom at Ardanaiseig has its own name. Over a series of blog posts, we’ll be exploring each room in turn, uncovering how it got its name and what makes it unique. For the first in the series, we’ll start with Cruachan, a Master Loch View room with a king four-poster bed that takes its name from the mountain overlooking Ardanaiseig itself, Ben Cruachan. At 1126m, Ben Cruachan is the highest point in Argyll and Bute, and listed as a Munro. 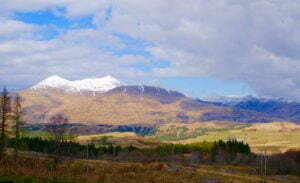 Separated from Ardanaiseig by Loch Awe, it’s a familiar sight to guests, staff, and locals alike. Its two peaks make it easily distinguishable from the surrounding mountains and, whether during a snowy winter or summer sunset, it’s spectacular. But it’s not only impressive from the outside, because Ben Cruachan is hiding a secret. It’s not called the “Hollow Mountain” for nothing. 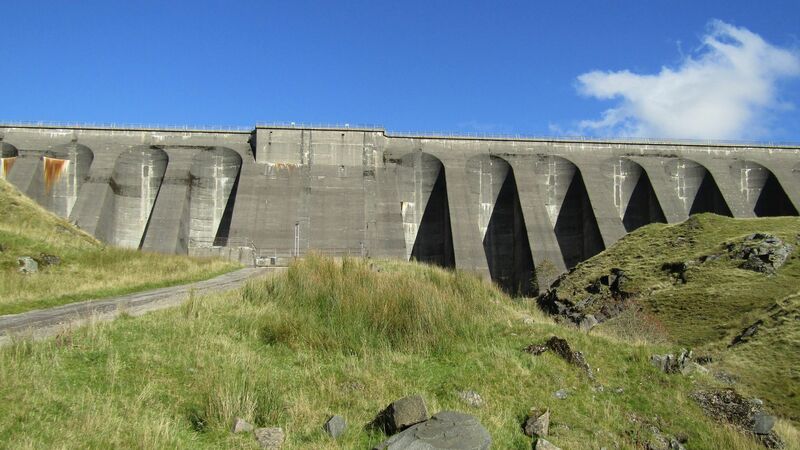 If you travel one kilometer beneath the mountain, which you can do by going on a guided tour, you will find the architecturally spectacular Cruachan Power Station. A large cavern houses huge turbines that use the power of water to create electricity, which is quite a sight. It was even used on the set of the first James Bond film Dr. No (1962) starring Sean Connery, so it really is worth a visit. 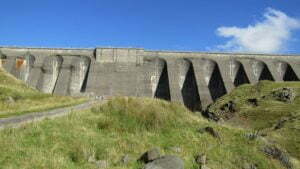 The dam associated with the power station is visible from many places in the area, including Ardanaiseig, and is an impressive sight in itself. 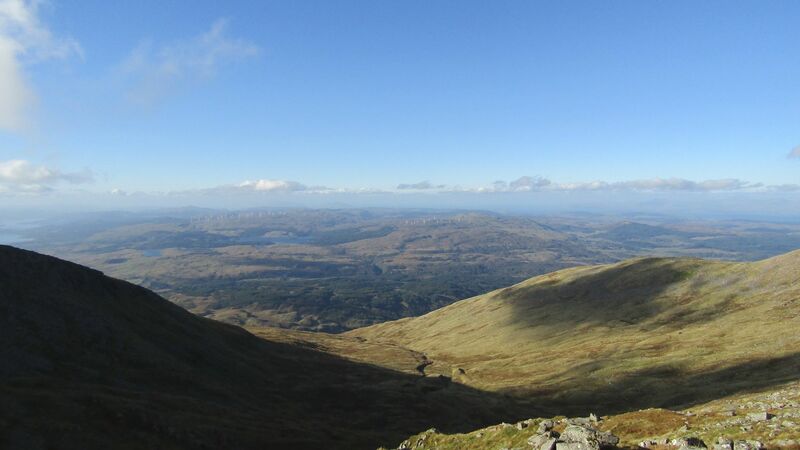 For those who would rather explore Ben Cruachan from the surface, there are two wonderful walks to the dam, which you can walk across and enjoy the spectacular views of Loch Awe and the surrounding area. The easy route from Loch Awe Village Visitor Centre is three miles long, has a good surface all the way and climbs gently across the hillside. The more challenging route ascends steeply to nearly 400m and sensible footwear and clothing are essential. You will walk through woodland, cross a stile over a deer fence and come out onto open hillside. For those who want a bigger challenge, you can climb to the top of this wonderful Munro. The ridge walk to Stob Diamh is a beautiful trail. 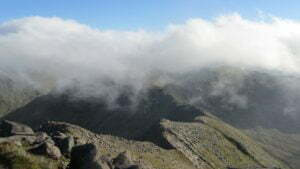 Find out more information about walks on Ben Cruachan here, or come stay with us and admire the mountain from afar.